Millions of Americans proudly watched Dan O’Brien win the 1996 Olympic Gold Medal to become the first American winner in the sport since 1976. 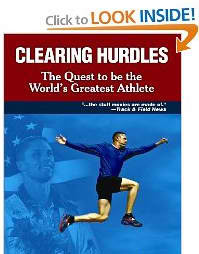 As an Olympic Gold Medalist in the decathlon, Dan O’Brien is officially considered the “World’s Greatest Athlete,” and his name is synonymous with athletic achievement and success both on and off the field. 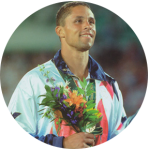 This publicity also provided for one of the most publicized failures in sports history when Dan “no-heighted” in the pole vault and failed to qualify for the 1992 Olympic team headed for Barcelona. All of Dan’s hard work had come to an end…or had it? Dan O’Brien has spent his entire life overcoming obstacles. 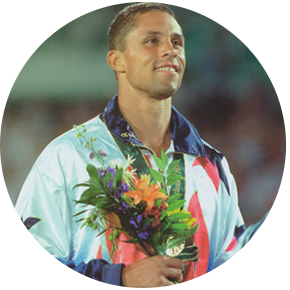 He went on to win the 1993 and 1995 World Championships, the 1994 Goodwill Games, and three US Championships – all leading to the 1996 Olympic Gold Medal in Atlanta. Dan has become a highly sought motivational speaker, bringing his inspirational story to the employees and leaders of some of the biggest companies in the world, and over the years he has worked as both a color commentator and guest analyst for networks such as ESPN, CBS and NBC. He was a part of Yahoo! Sports 2012 Olympic coverage from London. Today Dan resides with his wife Leilani in Scottsdale, Arizona, where he is entering his seventh year as an assistant volunteer coach at Arizona State University. Dan also trains athletes of all ages in sports ranging from tennis to football. He can be found most days in a nearby gym or track.